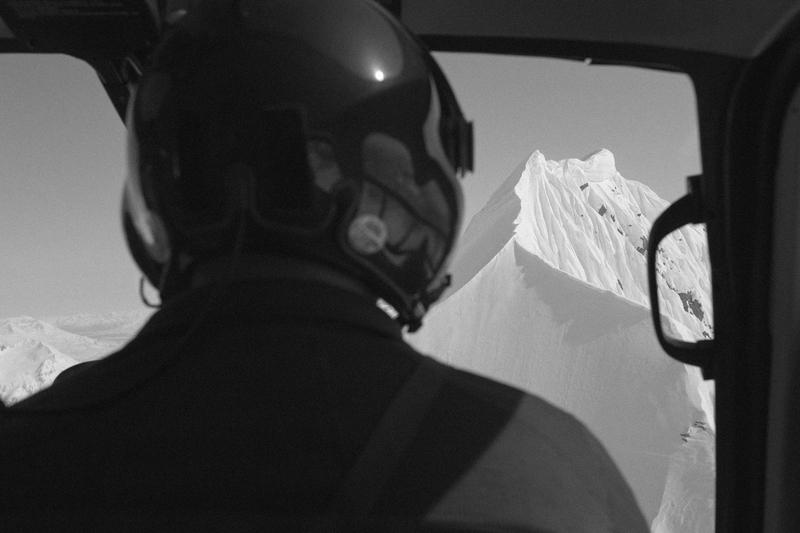 The overhead necessary for us to be able to get you deep into the Chugach is substantial. For this reason, it is impossible for us to give cash refunds. To keep it fair and consistent, this is a blanket policy that we apply to all situations, individuals and groups with no exceptions. The good news is that for cancellations made 90 days or more prior to arrival, full credit for the deposit will be given towards a future trip with ASG. And, for cancellations made up to 60 days prior to arrival, 50% of the total deposit will be given as credit. Unfortunately, for the above mentioned reasons, no credit will be given for any cancellations made inside the 60 day mark will be given. Trust us, that bums us out too. So please get travel insurance! If during your trip high avalanche danger, weather or general mother nature issues prevent you from completing your package, you will receive a 50% ASG credit of your unused Personal Flight Hobbs Hour Fee’s. ASG credits are based on what you and/or your group skis/snowboards for the week whichever is greater. ASG credits can be used for two calendar years and are non transferable. This credit can be only be used towards a future week long package’s deposit or final payment. ASG credits can be used ONE time as an initial deposit however if the trip is cancelled the ASG credit is forfeit. There is no credit given for any other portion of the package. This includes, but is not limited to, hotel, meals, transportation, rentals and taxes. There shall be no crediting or refunds of the lodging portion of the package due to the nature of our pre-booked lodging reservations. We strongly suggest purchasing travel insurance prior to your trip to cover any unforeseen costs do to a trip cancellation. We also reserve the right to modify, change, cancel or alter any and all aspects of our packages or trips. Clients will not lose funds, but will be credited funds to a future trip. Remember your safety is our number one priority out there! Alaska Snowboard Guides reserves the right to refuse service to anyone at anytime for any reason. There are NO REFUNDS or CREDITS for injury, sickness, lost bags, late arrivals or early departures FOR ANY REASON. Alaska Snowboard Guides is not responsible for lost bags during your travels or the problems or losses that arise due to these circumstances. If you opt to not ski/snowboard on a flyable day we will deduct the average number of Personal Hobbs Flight hours skied or snowboarded that day from your package total or your groups total number of hours used that day. A spot in the helicopter has been reserved for your trip – so if you’re not there to take it, we lose that spot. In the event you arrive late or depart early and miss Heli Skiing or Heli Snowboarding the Average number of Personal Flight Hours used per group or the number of hours used by your group will be deducted from your package. In the event you get hurt in the field, you are responsible for all of the helicopter time needed to evacuate you from and return to the field and resume operations. The total number of runs your group skied will be deducted from your package. You will also be financially responsible for any runs the group skied beyond your package on the day of your injury. If you are sick, injured, unable or unwilling to ski or snowboard during your trip you will be responsible for the total number of Personal Flight Hours your group uses up to your package total. If a guide deems you are unsafe or unfit mentally or physically to continue to ski or snowboard you will be responsible for the cost of helicopter time needed to evacuate you from and return to the field and resume operations. This is an additional cost to your package or day of heli skiing or heli snowboarding. If your guide deems you unable to follow his or her instructions they have the authority to remove you from the field and you will be responsible for the cost of helicopter time needed to evacuate you from and return to the field and resume operations. This is at an additional cost to your package or day of heli skiing or heli snowboarding. If your group decides to come in early on for any reason on any given day you will lose the Personal Hobbs Flight Hour(s) that were not used on that day at the end of your trip if you are then unable to complete your package. Again, we strongly recommend that you obtain travel insurance for these reasons. Due to the nature of walk up guests, we are not responsible for no shows on fly days. If we have reserved a seat in the helicopter for you, and you do not show, you will be charged the full days cost. * You are subject to all of the terms in our “Injury or Sickness Etc..” policies if you get hurt in the field. This means you are responsible for all of the helicopter time needed to evacuate you from and return to the field and resume operations. You will be charged for the full day. You will also be financially responsible for any runs the group skied beyond your package. * If your group decides to come in early on for any reason on any given day you will lose the runs you chose not to take. * If a guide deems your are unsafe or unfit mentally or physically to continue to ski or snowboard you will be responsible for the helicopter time needed to evacuate you from and return to the field and resume operations. You will also be responsible for the full cost of your day even if you did not complete all of the runs your group completed. Alaska Snowboard Guides reserves the right to refuse service to anyone at anytime for any reason to cancel, move, change or re-schedule a trip without notice at anytime, for any reason. Clients will not lose funds, but will be credited funds to a future trip. Gift Certificates, auction prizes, free trips, other prizes, and sweepstakes, raffles, complementary spots etc. are Non Transferable and have No Cash Value. These trips are considered Void if transferred, bartered or traded. Promotional credit can only be put towards a future week package’s deposit or final payment. No credits will be issued for unused portions of; gift certificates of any type, reduced priced packages, comp spots, auction prizes, raffle prizes, free trips, sweepstakes, etc.